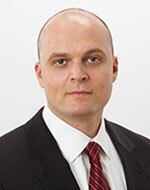 Jesse W. McClellan, Esq., is a founding partner of McClellan Davis, LLC, a sales and use tax consultancy firm. Jesse is among a limited group of practitioners in the sales and use tax consulting profession who can draw on the knowledge and experience gained from being a licensed attorney as well as a former state sales and use tax field auditor. As an advocate for taxpayers, Jesse is active in ongoing efforts to initiate and draft new laws, regulations, and procedures that are intended to provide for the protection of taxpayers. Most recently, he initiated and led an effort to establish standard of proof guidelines for California’s audit staff, serving as the principal author of the published guidelines. Jesse has provided expert witness testimony for sales and use tax purposes in civil litigation matters. He has written articles on a variety of sales and use tax-related topics and has spoken at numerous taxation and accounting seminars. Jesse earned his BS in finance at San Diego State University in San Diego, California, and his JD at Lincoln Law School of Sacramento in Sacramento, California. Jesse is a self-study course author for Western CPE.